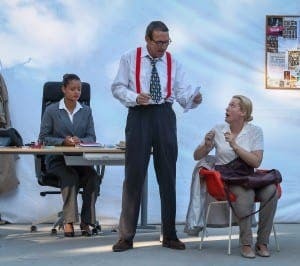 THOUSANDS were raised at the International Theatre Studio’s annual ‘Lark in the Park’ performance at Benahavis Parque Torre Leoner. Sponsored by Gibraltar-based insurance firm Ibex, the programme included a one-act comedy about a bizarre agency for film extras followed by three superb musical acts – the Art Thieves rock band, the blues duo Two True, and solo artiste ‘Stella’. More than €2,000 was raised for, Caritas International a global Catholic relief charity.